Have we missed a golden opportunity to make our electricity network really smart? When we last wrote about smart meters in 2008, we predicted they’d be great for the electricity industry, but were sceptical about the benefits for consumers. Unfortunately, we were right – they’ve saved power companies money, but most of us are yet to enjoy lower costs or increased control over our electricity use. They also remain the focus of health and privacy concerns. Every home has a meter recording the amount of power used. Smart meters send your electricity usage back to your power company throughout the day, removing the need for meter readers and making your bill far more accurate compared to the old analogue models. It’s estimated that more than 1.2 million have been installed over the past 10 years, meaning they now outnumber the old meters. If you haven’t got one already, chances are you will soon – most meters have certification that expires in 2015, and many electricity retailers are using this as an opportunity to fit smart meters rather than re-certifying existing ones. Power companies like them because they don’t have to pay meter readers and they make billing easier and more accurate. In theory, they could benefit consumers by offering real-time information about energy use, and enabling the use of “cost-reflective tariffs”, allowing you to save money by shifting your power use to cheaper off-peak periods. There are environmental benefits as well. During periods of high demand, such as cold winter nights, our renewable sources like hydro or geothermal can’t generate enough electricity, so we rely on fossil fuel-burning power plants to cover the shortfall. Spreading our power consumption more evenly throughout the day means we could reduce our reliance on these unsustainable sources of energy. Unfortunately for consumers, the majority of installed smart meters are basic models that only send data back to the power companies and display aggregate energy use (just like the old analogue meters), which means consumers miss out on many of the potential benefits like cost-reflective tariffs and real-time monitoring of their power use. This type of radiation is also emitted by phones, microwaves and TV towers, and while it can’t damage living cells, it can heat body tissue. As a result, New Zealand set maximum exposure limits for electromagnetic radiation. A 2012 study by the University of Canterbury’s Electric Power Engineering Centre found standing a metre away from a smart meter broadcasting at full power exposes you to less than 35 percent of the maximum limit for electromagnetic radiation. But in practice, smart meters are usually located in out-of-the-way areas of the home, and only transmit for a maximum of a few minutes per day, so your exposure will usually be far lower than that. However, some people report adverse reactions, including headaches, fatigue and skin rashes, to levels of electromagnetic radiation well below the maximum exposure limit. This is known as electromagnetic hypersensitivity (EHS). Sufferers often cite Wi-Fi, phone towers and high voltage power lines as aggravating their EHS. Professor Keith Petrie, an expert in Psychological Medicine at the University of Auckland, says the cause of EHS is imagined, but the effects are very real. “Negative expectations cause these symptoms and simply telling people that something in the environment is harmful will cause symptoms and health complaints,” Professor Petrie said. This year, the European Commission’s Scientific Committee on Emerging and Newly Identified Health Risks assessed more than 700 recent studies. They found no association between exposure to electromagnetic fields below existing limits and adverse health effects. If you believe electromagnetic fields are affecting your health, we recommend assessing your home and workplace for factors that could be causing the problems, such as poor lighting or excessive noise. If problems persist, talk to your doctor. They may be able to identify and treat any underlying conditions that may be causing the symptoms. Constant monitoring of your electricity use raises the question: what does your power company do with the huge amounts of private data it collects? The Office of the Privacy Commissioner received a number of complaints this year about that very thing, and while none were upheld, the commissioner raised concerns about how power companies were looking after this information. We share these concerns and think power companies need to clarify in their privacy policies how consumers’ data is handled and protected. In 2009, the Parliamentary Commissioner for the Environment released a report expressing concern the rollout of smart meters was being entirely driven by electricity retailers, with no government control. The commissioner recommended the government ensure all meters were really “smart”, by requiring them to have home area network (HAN) communication functionality, and in-home displays (IHDs). HANs allow meters to interact with smart appliances, for example switching on your dryer in the middle of the night when power’s cheapest. IHDs show real-time energy use – allowing you to identify power-hungry appliances and shift their use to off-peak times. However, the Electricity Commission (now the Electricity Authority) presented a report to the then Minister of Energy and Resources Gerry Brownlee advising against regulation. The report concluded the costs of adding HAN and IHD would exceed any economic and environmental benefits. The Environment Commissioner raised concerns over the methodology used in the cost-benefit analysis. However, the minister accepted the report’s advice. As a result, electricity retailers installed meters capable of recording your power use, but that’s about it – most of us are stuck with basic models that can’t do much else. Some energy companies don’t see this as a problem, and say the industry is moving toward control and monitoring through the internet via online tools. In a market where innovation is hard to come by, there are a few retailers challenging the status quo. Flick Electric, which launched last year, developed technology allowing customers with any type of smart meter to take advantage of electricity spot prices and shift their usage to when power’s cheapest. This is a good start, but Flick isn’t offering meters with home area network functionality or in-home displays – you have to log on to a personalised online portal to check your power use and spot prices. The problem with online energy monitoring programmes is they’re usually opt-in, and require users to log in to the system to access energy use reports. We think a smart meter with an in-home display provides more accessible real-time feedback for consumers, rather than the half-hourly information provided by most online tools. There’s no law requiring you to have a smart meter. However, most retail power contracts say the provider can replace the meter at its discretion. If you don’t want a smart meter, ask if you can opt out, or look at switching to another provider. But bear in mind, many meters’ certification expires this year so most, if not all, retailers will be opting to install smart meters. You won’t have to pay for a smart meter if your provider’s rolling them out. However, you may be charged if your provider doesn’t require them but you’d like to have one fitted to make your billing more accurate. If you’ve got a faulty meter, smart or otherwise, the meter’s owner is responsible for repairing it. The majority of meters are owned by the lines company, the electricity retailer or an independent meter company. If you’ve got a dispute with your power company over a smart meter, we recommend contacting Utilities Disputes. • New Zealand missed a golden opportunity to give consumers more control over their power use and reduce greenhouse gas emissions. In our view, the failure to regulate the rollout of smart meters was a mistake. • Power retailers need to be clear and accountable on how they handle and protect the personal data collected by smart meters. Companies’ privacy policies should include information on how they use smart meter data. Ever argued over whether it’s worth switching appliances off standby mode to save power? An energy monitor could be the tool you need to settle the score. The online smart meters are not useful for monitoring usage - I am with Flick and the data is not available for at least 2 days. Was with Mercury and they were the same. That is a fundamental issue and rules them out as usable for demand management. Also 2 days is too long to remember what was happening as well as obviously too long for making any live decisions on power usage. Another issue, Flick have a very basic smart phone app which is supposed to tell you when the price is high, but the high/spike price notifications are not working on that - they did used to work. Quite frankly the solution is to bypass the power companies and implement load management yourself. I've just installed heat pumps which are controllable via the (free) very simple IFTTT cloud based automation service. The internet connectivity is provided by these modules: https://www.intesishome.com/ which are independent of manufacturer and compatible with many heat pumps. That approach is the future, every power hungry appliance I buy will have this connectivity now. Combine with solar its a no brainer. Forget the power companies, they have had their chance and haven't delivered. The single advantage of the smart meter is that the meter reader does not need to come to the house. Which is only important if you have a dog. Thats it. A smart meter has just been installed on our house without any prior communication from Contact. I've always been against the concept (the privacy issue) and would like to know if I can get it removed. I've spoken with the Contact Call Centre people who agreed (after searching their records) that no, I hadn't been sent a letter detailing the installation time frame and whether or not I agreed to it. My partner answered the door when the technician called, was briefly told that a smart meter was being installed and that I would have received a letter about it. Long story short - my partner didn't contact me to yay or nay the installation (we own equal shares in the house but I'm the electricity account holder/payer) and the meter was in the final stages of being fitted when I arrived on the scene. I queried the guy installing it about why I hadn't been notified and he said I should have had a letter. We discussed the fact that I hadn't and he told me that if nobody had answered the door he would have still installed it (Power Company policy apparantly). Where do I stand here as the account holder? Uninformed consent was given by my partner (who hasn't been authorised to operate my account) to install a smart meter that Contact Energy didn't even write to me about. I never had a chance to say yes or no to it. Apparantly you have the option to say "No" before they swap the meters. Contact told me one of their servicemen would phone me to arrange removing the communications chip from the new meter but it's the 2nd day now and (funnily enough) no phone call yet. I'd prefer to get the analogue meter back if possible. Genesis has for some reason removed the hourly feature on my usage function on their website. I queried this with them and they replied "I am sorry to say but Genesis Energy only provided hourly electricity consumption data on a trial basis. As customer feedback has been mixed, we have removed the hourly data in." something or have something more sinister coming up in the future. yours could absorb the cost considering the cost of electricity in NZ"
Their reply was "I apologise you feel this way. I will pass your feedback onto my manager to look into. This is the best I can do for you in this situation. If there was anything else I can help with please do not hesitate to ask." and that is where it's finished. I never heard from the manager and to be honest was not expecting to. All My Account will now only be able to see daily and monthly data. I fully agree with your claim that smart meters have saved power companies money, but most of us are yet to enjoy lower costs or increased control over our electricity use, but not quite for the reasons you state. There are no dumb smart meters in the sense that they are not clever. All NZ smart meters can record the power consumption in half-hour intervals throughout the day and can report this information to the power retailer, provided that they are connected to a wireless network as described in the Electricity Authority pamphlet linked to your article. These meters are not designed for directly connecting to our PCs. (b) the retailer sets up their website so that power consumers can access this information in downloadable and user-friendly forms. Unfortunately in many cases, one or both of the above is still not present. In my case my smart meter in Napier cannot yet be accessed by Mercury Energy so I can’t yet see my usage patterns from the meter. 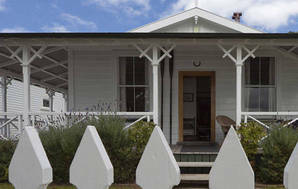 The say they are planning to establish a network in Napier but no timeframe is given. This is starting to happen. For example, the Flick Electric Company is offering packages where consumers can pay the spot price for energy generated plus line company and metering charges, and Mercury Energy is offering discounted rates to owners of electric cars for power consumed between 11pm and 7am. However the real benefit will only come when Transpower and line company charges are reformed into time-of-use packages where usage during peak periods is charged at a high rate to reflect the costs of their networks (which are driven by peak usage levels) and usage during off-peak periods is charged virtually nothing because the marginal cost of this usage is almost zero. 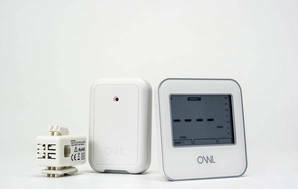 These fully reformed time-of-use charges would let users manage their power usage to significantly lower their bills. Shifting energy usage away from the peak hours would also lead to huge savings in the costs of generation, transmission and distribution (potentially hundreds of millions of dollars over the whole country in the next 5-10 years). We need the lines companies to introduce economically appropriate time-of-use pricing and we need the energy retailers to transparently pass these options on to their customers. The Electricity Authority is currently conducting a consultation on the lines (aka distribution) company pricing, which could greatly impact on the prices we pay for electricity, but we need to speak up and argue the case for time-of-use pricing or nothing will happen. For anyone who is interested, a copy of my submission to the Electricity Authority can be downloaded from the following link. Can I buy and get installed myself a smart smart meter? At this stage, we’re unaware of any retailers offering retrofits of network-integrated smart meters. Your best option for making your smart meter smarter is probably to install an electronic energy monitoring device. These allow you to connect a sensor to your incoming electricity supply, which sends power consumption data to an LCD display and/or a smartphone or computer via the cloud on more advanced models. You can then program your power tariff information to show real-time and aggregate power usage and price information. Our so-called smart meter cannot connect to vodafone because vodafone don't offer a signal anywhere near here. So, it's a dumb meter! We did try to tell Powershop that before they installed it! I installed a new gas furnace for our central heating but our gas usage was still very high and vey difficult to compare as the meter is only read every second month (they now let me advise the meter reading each month by phone). I contacted Mercury who installed a smart meter for the electricity but they do not have smart meters for gas. Is there a smart meter for gas available? The ability to monitor usage by day would be very helpful. I know I can read the meter myself but this is a hassle as the meter is not located with easy access. Also Mercury compare usage against similar houses but were unable to tell me if the comparison had gas central heating and water included. Our gas usage is 2 to three times other similar houses while our electricity is less. Flick seem to be the closest to providing a useful service but are just starting up, I buried their lack of download facility and time delay and they responded that it was on their development map - good on them, we have saved a lot. I moved into a rental that already had a smart meter installed, and I joined up with Powershop. I find the readings to be significantly up to date (don't have to rely on someone coming around every 1-6 months), so I'm not making payments based on estimates that could be wildly off. On top of that Powershop give me tools online that let me check my usage using something called a heat graph. It became obvious that things like the heat pump and taking showers were the primary spikes in power usage, and mean that as a power user I am a lot more conscious about the power usage in the home. I don't think I'm ever going to get myself a power bill debt. We have just had a dumb smart meter installed. It is very disappointing as this months Consumer article on meters point out that the capability for the consumer to read direct via a PC what energy and when they are using, has not been installed. Hence my term Dumb smart meter. Also not sure if people are aware but the so called smart meters also have a remote switch off enabled. This function can be used to remotely switch your power off. Has consumer investigated this and what the legalities of it are? None of this information is readily supplied by the retailer when the meter is installed which I think is just not good enough. If people are getting one installed make sure you ask for an Electrical Safety Certificate signed by the installer which certifies that the work he has done is safe. We had new smart meter installed mid last year. After a few months of estimated readings I contacted Meridian who said they were having problems reading our smart meter remotly but that they would keep trying. In March we recived a calling card from a meter reader saying he had called but as we were not home was unable to get a meter reading. I emailed the readings through, no problem doing this. It is now August and we are still getting estimated readings that I keep checking against my own meter reading and sending the updated readings to Meridian. We live in town with perfect cell phone coverage on all networks so this can't be a problem for remote reading. Spoke with meter reader today. It appears that if you have solar panels or other home generation that exports to the grid then they can't remotely read the meters. Contact can't either, since I installed solar panels and they put in an import/export meter. I find it surprising that they can't read the new meter remotely. Surely it's higher-tech than an import-only meter. And it can't be that hard for the meter to send an identifier for the exported figure and the imported figure. It sends one to the screen on the physical meter. Where do you find the expiry date for your meter, can you install new analogue meters that meet certification, who certifies the meter and is there any other costs relating to meter change. Can you opt not to have the "smart" communication device installed with the Smart meter then bypassing the daily delivery of information to the Retailer. Will they charge for a reading. You should be able to see the expiry date and certification on a sticker on the front of the meter. Most retailers will send around a technician to replace an old analogue meter with a smart meter when its certification expires. There should be no cost for a smart meter unless your provider isn't rolling them out to everyone, but you want one to make your billing more accurate. As for opting not to have the "smart" communication device installed with the smart meter, this will depend on the retailer and be decided on the case-by-case basis. There have been cases where consumers have been able to have the communication capability removed from their smart meter. In this case, the retailer should not charge extra for a reading.